“Everyday 4,000 12-17 year olds use drugs for the first time”(Monitoring the Future 2012). The amount of teens using and selling drugs is alarming and all are using illegally because they are curious and want to be like everyone else, who is using. 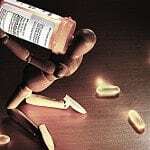 The drug problem in California is complex and many people know and believe that drugs are not good, but if so many people are using possibly the problems and abuse would go down if they were legalized. Therefore, drugs in California should be legalized in order to stop cartels and black market drug dealing and stop teens from selling drugs. The use of drugs is increasing therefore, drugs should be legalized specifically to stop cartels and the illegal use of drugs. In an interview with an Oakland resident she was asked, what do you think should be done about drugs? She answered, “ I think drugs should be legalized because that’s the reason cartels exist and people are being killed. Everyone is trying to make money out of it not caring who they harm” (Personal Interview). Four words that are really important in this quote are legalized, cartels, money and killed because they are giving us a very clear reason on why drugs should be legalized. These words are telling us that once drugs are legal people won’t have to buy them illegally and cartels will stop hiding while selling them and they will stop killing. People will still be fighting and trying to kill each other because all they care about is money, but legalizing will reduce the number of people being killed. Additionally, in an article written by City Journal they wrote, “ The philosophic argument is that, in a free society, adults should be permitted to do whatever they please, always provided that they are prepared to take the consequences of their own choices and that they cause no direct harm to others” (City Journal). This quote is saying that if people use drugs it’s their life they are putting in danger. They are the ones that are deciding to use them and they know why. Legalizing drugs will allow people to use them in a calm way. They are able to do with their body whatever they want to. In conclusion, drugs should be legalized because by legalizing them people will be able to use them for what they want to use them. Legalizing them might stop some cartels and killing. People are killing each other because drugs are illegal and they are scared that people will say who is selling them to them. Secondly, teens will sell less if it is legalized and monitored. In the article, “ 3 Kinds of Teen Drug Dealers, Study Says” the author Jimmy Hoover explains, “ The researchers panned through a pool of 12 to 17 year- olds from across the country to find 3,080 adolescents who reported to have sold drugs in the last 12 months” (Hoover). This quote is showing how if drugs were legalized teens will stop selling them and they won’t have to sell them and putting their life in danger. By having the drugs legal they will be able to buy them at the store just like they are able to buy alcohol. This number is very high and the people who are selling them are very young too. Moreover, in an article published by The Washington Post, they wrote, “The latest data from the U.S. Border Patrol shows that last year, marijuana seizures along the southwest border tumbled to their lowest level in at least a decade. Agents snagged roughly 1.5 million pounds of marijuana at the border, down from a peak of nearly 4 million pounds in 2009” (The Washington Post). This is an example that by legalizing marijuana the amount of drugs that are being crossed by the border has slowly been diminishing. If the other illegal drugs were to be legalized the number might also shrink and be less every time. It might be that right now people only use them because they are illegal but if at some point they were legal the number will also drop tremendously. People will also stop selling them because they will be worth less. In the article they also talk about how the price of marijuana shrunk since it was legalized. Others might say that if drugs were to be legalized they will only make things worse. In an interview to an Oakland resident she was asked “what do you think should be done about drugs?” she answered, “I think that drugs should not be legalized. They should make a more strict law against them” (Personal Interview). This quote is showing how not everyone is in favor of legalizing them. They think that if they were to be legalized they will just make things worse. Some people think that if drugs are legalized there will be more people in the streets and less people working hard. This is showing how people have completely different opinions about drugs. In conclusion drugs should be legalized because people will stop selling them illegally. Since marijuana was legalized the number of pounds that crossed the border has decreased and that might happen for all of the other drugs. In conclusion, drugs should be legalized because the number of people using/ selling them will stop growing. Once they are legal people will be able to buy them at any store and they won’t have to pay a huge amount for them. The cartels and everyone killing people will stop because they won’t be selling and buying them illegally. Cartels might also stop because there will be no point in selling them in a illegal way because they will be able to buy them at a store like alcohol. The Impacts of Drugs by Maria is licensed under a Creative Commons Attribution-ShareAlike 4.0 International License. Thank you for taking time to read my article and for leaving a comment. Hey Alexis! Thank you for your comment and I agree with you that people kill each other over dumb reasons. I know that the legalization of drugs will not fully stop fights and deaths because it will be really hard to stop those two things. Today a big reason of why people are killing each other because drugs are illegal and I think that if drugs were to be legalized there might be a possibility that some of the fights and deaths will reduce. Hey Maria! I enjoyed reading your blog because the topic is such a big, controversial issue especially in the U.S. One thing I want to mention, however, is that the legalization of drugs might not exactly stop fights and deaths. People kill each other over dumb reasons all the time, and if these hard drugs were to be legalized then I feel like it would allow people to easily lace other things (e.g., food and small drugs) with more doses of these drugs. Your blog is very thoughtful and well written though! I am interested by your post, “The Impact of Drugs,” because it has very strong evidence and brought up good points. I also enjoyed how relevant it was to Oakland and our community. One sentence that stand out for me is “Everyday 4,000 12-17 year olds use drugs for the first time.” This is an unbelievable amount of teens every single day and I would never have thought the number could be so high. I also noticed the sentences “They are the ones that are deciding to use them and they know why. Legalizing drugs will allow people to use them in a calm way. They are able to do with their body whatever they want to.” This stood out to me because while I mostly agree that people can do whatever they want to their own body, they aren’t the only ones at risk. Many people are endangered by others who are on drugs. I disagree with you that drugs should be legalized. One reason is that drugs put with the user and those around the user in harm’s way. I disagree with the statement “If people use drugs it’s their life they are putting in danger. They are the ones that are deciding to use them and they know why” because drugs are extremely addictive and while they might make a clear choice normally, they will always go towards drugs if they are so readily available. Overall, I disagree with you because I feel drugs have a very negative impact on our communities and are very dangerous and while legalizing drugs could help with some problems it would make many other problems much worse. I am confused by your post, “The Impact of Drugs,” because the logic behind it does not make sense to me. If drugs were made legal, they would stop being sold illegally because they would be legal. This would not decrease drug use or drug selling, because, if anything, making them legal and sold in stores would make them more accessible. One sentence that you wrote that stands out for me is: “The researchers panned through a pool of 12 to 17 year- olds from across the country to find 3,080 adolescents who reported to have sold drugs in the last 12 months” (Hoover). This quote is showing how if drugs were legalized teens will stop selling them and they won’t have to sell them and putting their life in danger,” because I do not understand how these are connected. The quote is talking about how many teenagers sell drugs, but says nothing about how legalizing them would make them stop selling. This quote does show a huge problem, and I do not disagree with that fact, but I do not think that legalizing drugs will solve this problem. Another sentence that I noticed was: ” In an interview with an Oakland resident she was asked, what do you think should be done about drugs? She answered, ‘I think drugs should be legalized because that’s the reason cartels exist and people are being killed. Everyone is trying to make money out of it not caring who they harm’ (Personal Interview),” because I never thought of legalizing drugs as a way of stopping cartels. I agree that there would no longer be a use for them if drugs were legal, because with drugs being sold like alcohol, they would become obsolete. I do not agree with you that legalizing drugs will lower drug use. One reason I say this is because legalizing drugs will make them easier to get. Once people begin abusing drugs, they often become addicted. If they have to obtain them secretly, they might find it too difficult and give up; if they were being sold over the counter, all they would have to do to foster their addiction would be to walk down the street to the store. Another reason I disagree with you is that you argument that legalizing drugs would stop them from being sold illegally doesn’t make sense. Of course by legalizing drugs they would stop being sold illegally, they would begin to be sold legally. Just because something is legal doesn’t make it okay. Take cigarettes, for example. These are legal drugs, but they are not good for you and they continue to be sold. The only thing that legalizing drugs would help is those with addictions to continue their habit with less resistance. Thank you for your writing. I look forward to seeing what you write next, because you have a very different point of view than I have. It is always more interesting to read about something that you see in a different way, because it broadens your views and can often open up a good debate. I am puzzled by your story, your title really hooked me in and made me want to read your article. Thanks for writing , im looking forward to seeing what you write next because i love how you interpreted the main idea in every paragraph. Keep going.